Jerry Hathaway, a more than two-decade veteran of Leonardo DRS, has been appointed vice president and general manager of the electro-optical and infrared business at the Arlington, Va.-based defense technology contractor. The company said Wednesday Hathaway most recently held similar roles within its land electronics and network computing and test solutions businesses. Before that, he served as engineering VP for the firm’s command, control, communications, computers, intelligence, surveillance and reconnaissance group. 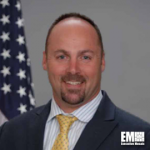 He wrote technical articles and was recognized by the National Defense Industrial Association for his work in the U.S. Army‘s Horizontal Technology Integration program. The certified project management professional earned his bachelor’s degree in electrical engineering from Clarkson University and received Six Sigma Green Belt certification.